A simple straight lever on a Euro lock narrow backplate. 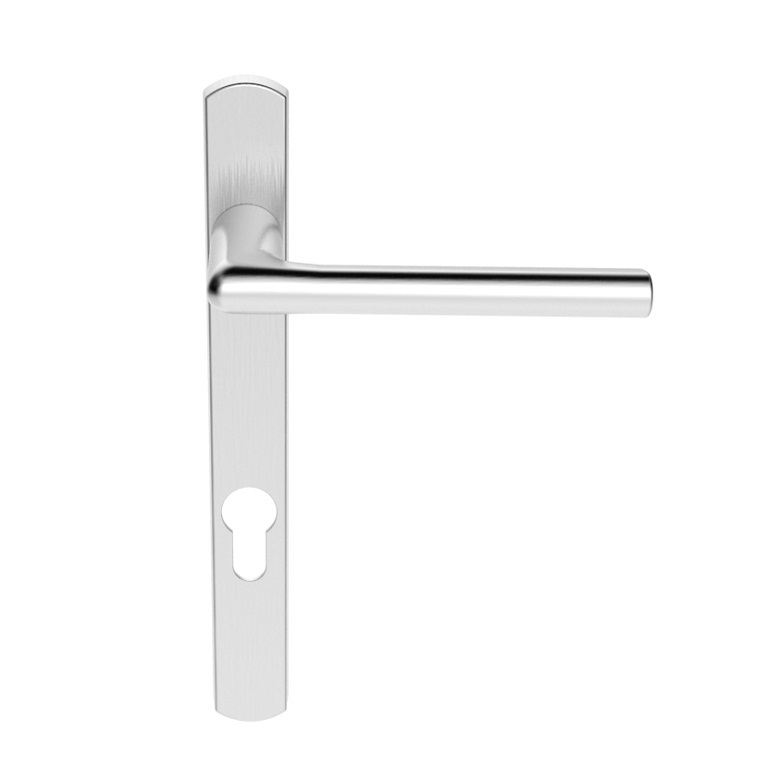 It has a Euro profile keyhole 92mm c/c and operates a multipoint lock. Comes with a 10 year mechanical guarantee. Suitable for domestic and commercial use. We have these installed on a property a mile inland from Lands End in Cornwall, where most metal fittings corrode or tarnish in less than a year. The stainless brass Rosa handles have been on external doors since 2014, and look almost as good as the day they were fitted. In the same 4 years I have had to replace the cylinder locks 3 times, as any brass coating tarnishes and flakes within a few months. 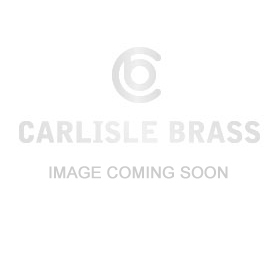 I wish the lock manufacturers would use the same brass finish as Carlisle Brass. 1. Firstly the lever handles are held on with a plain steel grub screw; this rusted into the handle in less than a year and had to be drilled out when I needed to remove the handles to repaint the doors. At that point the thread was unusable, and the handles had to be replaced with new ones, all because of a rusty grub screw that probably cost a few pence. Lesson learned - buy a packet of stainless steel grub screws (eg. from Amazon) and replace the factory screws when installing the handles. 2. 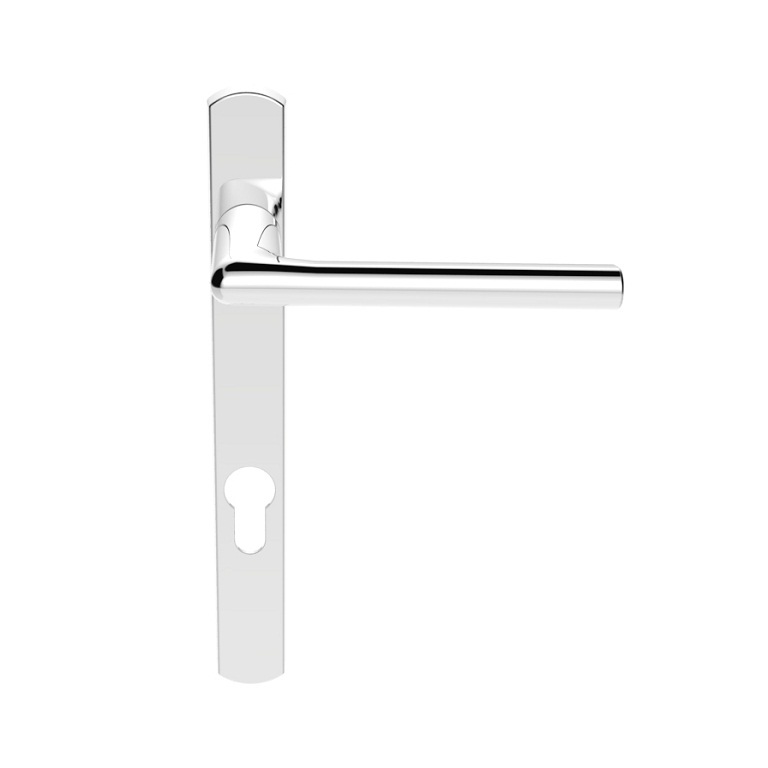 Secondly the square profile metal bar which attaches the inner to the outer level handle is also plain steel, not stainless or brass. When the handles were removed the bar was heavily rusted, and this had started to seep out where the handle meets the back plate. Again it would be a cheap modification to make this connecting bar of a rustproof material.